The Vetri Community Partnership, an organization that holds programs in South Philly, is debuting a new spring event, the first annual Eat to Empower Dinner Series & Food Festival at La Colombe Coffee Roasters in Fishtown. Event proceeds benefit the organization, co-founded by chef Marc Vetri and restaurateur Jeff Benjamin, and its effort to empower children and families to lead healthy lives through fresh food, hands-on experiences and education. It includes school lunch and nutrition education programs active in more than 70 sites in Philadelphia and Camden, N.J., serving more than 7,500 students. The food festival will take place from 9 p.m. to midnight, and include local food vendors Big Gay Ice Cream Bar, 1351 South St., and Mike’s BBQ, 1703 S. 11th St. Drinks will be provided by Bluecoat American Gin, Dad’s Hat Pennsylvania Rye Whiskey, Tito’s Handmade Vodka and Yard’s Brewing Co. More food and drink providers will be added leading up to the event. The event will feature Chill Moody and DJ Hank McCoy, who will serve as emcee/DJ entertainment, and will also include original art created live by Saeed Briscoe. Tickets are $75 per person and include open bar, food and entertainment. 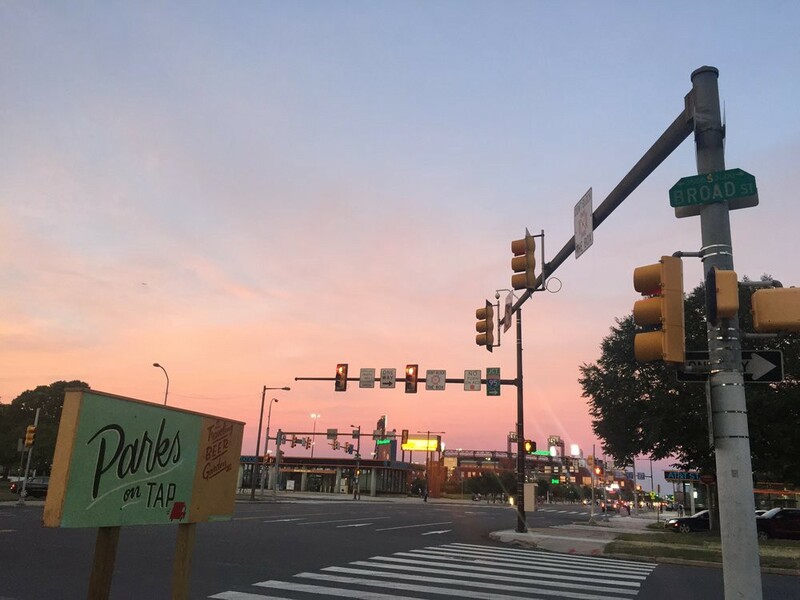 Parks on Tap, Philadelphia’s traveling beer garden, will kick off its 2018 season on Saturday, April 28, with stops scheduled at 23 locations throughout the city, including three in South Philly, over 23 weeks. The event is a partnership with Philadelphia Parks and Recreation, Fairmount Park Conservancy and FCM Hospitality. Fresh food, beer on tap wine, snacks and non-alcoholic beverages will be available at each stop. The festive outdoor environment will feature comfy chairs, hammocks, family-friendly activities and weekly programming. Parks on Tap will set up shop at FDR Park, Broad Street and Pattison Avenue, from Wednesday, May 23, through Monday, May 28. Columbus Square, 1200 Wharton St., is scheduled for Wednesday, June 27, through Sunday, July 1. Dickinson Square Park, 1600 E. Moyamensing Ave, is the final South Philly stop from Wednesday, Aug. 8, through Sunday, Aug. 12. For more information, visit parksontap.com. Hawthornes Beer Cafe, 738 S. 11th St., is hosting its 9th annual IPA, Champagne and Rose block party on Saturday, May 12, from 1 to 8 p.m. The adult beverages will be paired with food trucks, children’s activities and more exciting stuff to be announced in coming weeks. For more details, visit Facebook.com/hawthornesbeercafe. Have food or restaurant news to share? Email news@southphillyreview.com.